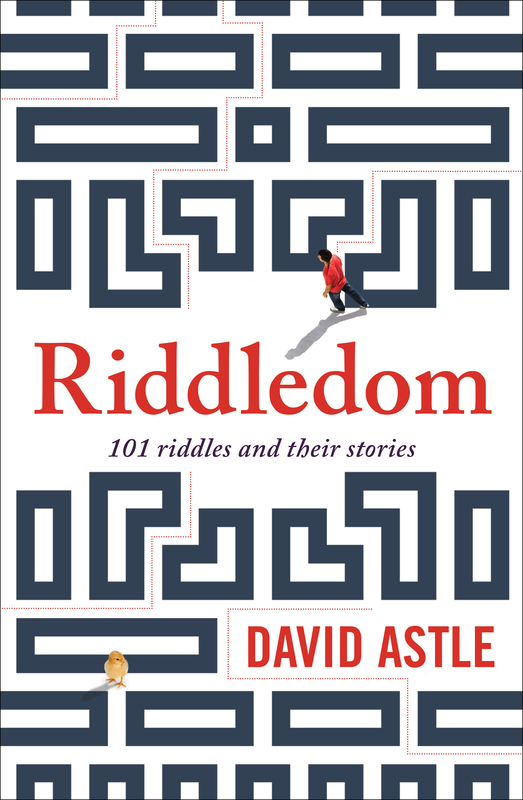 David Astle, that’s DA, has a new book out. Welcome to a weird new word adventure from David Astle. Join him, as he plunges into the realm of riddles, chasing down and prising open 101 curious questions from around the planet. A mind-trip across time and place, RIDDLEDOM uncovers relics from over 50 cultures, delving into language and deception, sampling Pompeii walls and Dothraki warriors. Readers can unravel each mini-chapter, wrestling with riddles from Wonderland or Zanzibar, Oedipus Rex or Harry Potter. Come meet French acrobats, coffee slaves, lusty maids and many more along the way. RIDDLEDOM is your chance to roam Tasmania and Mongolia, Fiji and Peru, seeking riddles on clay tablets and Popsicle sticks. And to celebrate its publishing, Allen & Unwin have made three copies available to me to give away. So to get yourself a copy, make a cryptic clue whose answer is RIDDLEDOM. 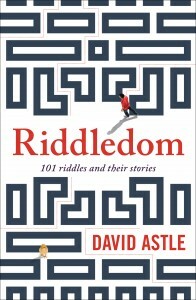 The authors of the three clues I consider the best will be sent a copy of Riddledom. Please limit yourself to two submissions just for my sanity. Do note: I have a weakness for &lit clues, Spoonerisms and slightly blue references. Clue submissions will close at 23:59 on Tuesday, 8th of September. I’ll announce the winners the following day. Das book by Fiddlemore Diddleless. These are all so clever. Just goes to show how much DA is impacting our brains?!? Prosecutor’s child hacks dark knight’s nemesis with laid back squad. I’m needing more help with some of these than this week’s DA…! I have not posted to the main site before as my ability to complete a crossword from DA is rare, but I am enjoying the challenge of this thread! Bill, this is my first ‘please explain’ as it’s driving me nuts! Last 3 words is EDOM but the rest? Actually I wouldnt mind most of the above explained. It is surprising how different all of our clues are. Oh, well done. I don’t think I’d have got that in a long time …..! query develops brain cells by beginner ducklings antibodies”….? Thanks Bill for your explanation! Here goes – maybe I was too wordy?